We offer a wide range of Leather Twin Tool Holder. 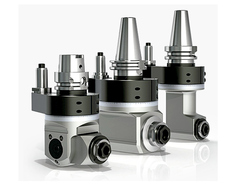 - Suitable for use on English Type and European Lathes. With our expertise and trustworthiness, we are engaged in offering an optimum quality range of FRP Tool Boxes as per customer requiremnets. We are engaged in manufacturing & supplying a comprehensive range of tool holders which is made of premium quality cast iron and tungsten. With highly efficient clip flow these are offered in various lengths & other dimensional specifications. These are enabled with unequal helix and unequal flute spacing; these tool holders provide optimum performance and maximum functionality. Catering to the requirements of our clients, we are involved in offering Tool Holder. Ideal for holding tool holders. The high precision tool holders in our tooling progran cover wide range of customer requirements and machining tasks. 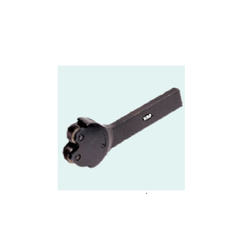 Our standard and special tool holders are universal efficient and absolute precise. DINANATH intermediate sleeves allow clamping of different diameters without compromising run-out accuracy. With rich industry knowledge & experience, we have been able to offer the excellent quality assortment of Tool Holders. Our offered array is designed and developed by making use of quality raw material and cutting-edge tools and machines. We supply to our clients Steel Tool Holder which are manufactured according to the industries norms and the quality of these holders are best in industries. These Holders are utilized in a wide range of industries. These are also used in Grinders in the cutting and fabrication work work of metals. These Holders give a cut edge finishing to our clients. mandrels. This saves the user money by converting to a more standard and less expensive.